Other kinds of treatments available. Welcome to our non-surgical practice! We offer several lines of non-surgical services at our main office located at Guerra Plastic Surgery Center in Scottsdale, Arizona. Our most popular procedures include muscle relaxers and facial filler injections. We have very experienced injectors who are certified in their field with over 20 years of combined experience in minimally invasive facial rejuvenation procedures. When you arrive at our office our highly trained staff will make you feel welcome! We encourage all of our new and returning patients to sign up for the client reward programs which are offered through our office. With these programs you will receive rewards which can be used towards the purchase of new products in the future. We also want you to take a good look at our specials and combined procedure pages which have been carefully selected to improve your experience and lead to better outcomes by combining different modalities to achieve improved results. Together, the typical client can build up rewards at a steady pace and accumulate a substantial number of reward points throughout the year! As we age, many of us experience lines and wrinkles from the activity of the normal muscles of expression. These lines can give a person an aged, angry and tired appearance. Injectable muscle relaxers, such as Dysport® and BOTOX®, are highly effective at temporarily relaxing the muscles which cause these aging lines to form on our faces. Our experienced injectors can gauge the amount of muscle relaxer required to achieve a more natural result and avoid a frozen appearance which is common when the injections are overdone. Volume loss and drooping of tissues are also the results of facial aging. The most common facial aging problem seen is related to loss of youthful volume in the cheek and middle of the face. Another common problem experienced with aging is drooping of the facial tissues which leads to the formation of grooves between the eyes and nose (nasojugal groove), deep lines between the mouth and cheeks (nasolabial or laugh lines), and jowls at the jawline. Lines can also be seen at the corners of the mouth going down to the chin. For all these problems, there are many facial filler (Restylane® and Restylane® Lyft) options available to restore the volume loss (Juvéderm® Voluma XC) and reduce the lines of aging. Our injectors are highly trained in using all these FDA approved dermal fillers. Please continue reading to learn more about the treatment regimens we recommend. Thin lips or lips without much overall volume can occur naturally or as a result of aging. Aging can also affect the appearance of the lips by creating thin vertical wrinkles which are not seen in youthful lips. Both conditions can be treated with dermal fillers. Our injectors have a great deal of experience with non-surgical lip enhancement using the dermal filler Restylane® Silk and Juvéderm® Ultra XC. 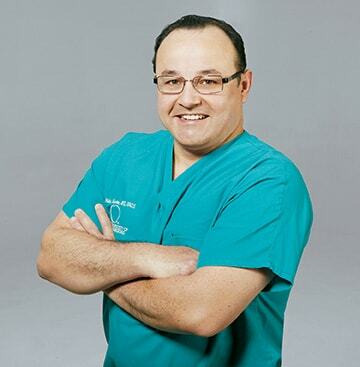 Dr. Aldo Guerra trained specifically and extensively for a career in cosmetic plastic surgery. After completing his plastic surgery training he passed the qualifying examination to become board certified in plastic surgery by The American Board of Plastic Surgery. He has over 15 years of experience practicing plastic surgery. Gail Gomez is an Advanced Cosmetic Injector specializing in non-surgical treatments to restore and enhance one's natural beauty. 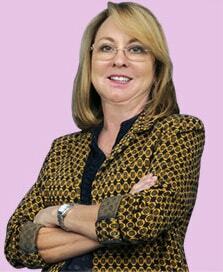 She has a Bachelor of Science degree in Nursing, and worked in aesthetic medicine since 2007.